Jacqueline is a partner based in our central Edinburgh office. 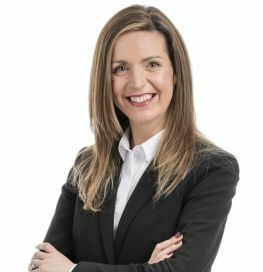 She has considerable experience acting for clients in the All-Scotland Sheriff Personal Injury Court, the Court of Session and Sheriff Courts, pursuing all types of employer’s liability, public liability, occupier’s liability, motor liability and medical negligence claims. In addition to her law degree, Jacqueline also holds an Honours degree in French Language and Literature from University of Glasgow. She is accredited by the Law Society of Scotland as a specialist in Personal Injury Law.